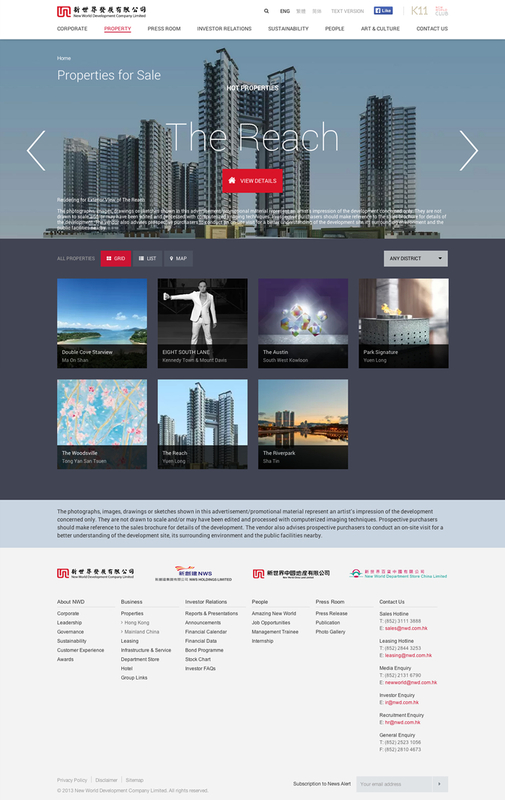 New World Development Company Limited is a world-leading conglomerate based in Hong Kong with big vision of building a better society through innovation and sustainable growth. We partnered with Coconut Inc. and took the challenge of creating a bold corporate website which envisions the client’s goal of pursuing a “Brave New World”. Over the last six months, we greatly involved in the branding process and worked closely with Coconut to improve the architecture of the website as well as providing a good online communication platform for client and their shareholders. It is one of the most comprehensive corporate websites that we have ever designed and the experience is rewarding to both client and us.